528 Revolution. 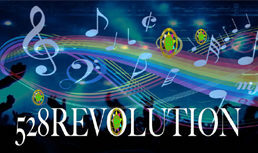 Revolutionizing the Music Industry, Medicine & Global Awareness. To achieve optimal enlightenment, you must come to terms with the depths of darkness. Once wise to good vs. evil, you can consciously choose to be prospered, rather than ignorantly damaged by ignorance and "karma." Invest in manifesting a global miracle. 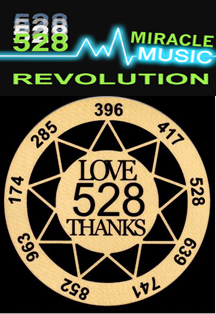 Support the "528LOVERevolution" to make the world healthier, safer, and better. Intelligence for awakening, prospering, and choice-making. Sign up now. 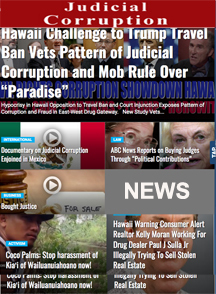 Star Advertiser Fraud Read more! 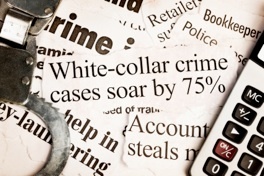 Dr. Leonard Horowitz and Sherri Kane aka "The Horokane" are at the forefront of exposing the worse villains in ... Read more! 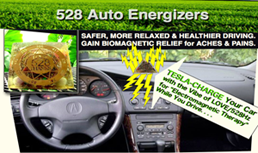 528 Orgone generators resonate in the frequency of LOVE/528Hz empowering new technologies for health, safety, ... Read more! Music can be enjoyable but distressing, or otherwise healing. Transpose your favorite tracks here for free. Read more! 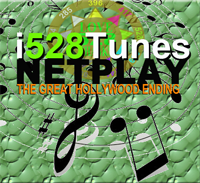 Listen NOW while browsing to enjoy "Medicinal Music" 24/7/365 for FREE on a growing number of 528 Radio ... Read more! "Can I hear a difference with 528Hz frequency?" YOU CAN FEEL a difference with this frequency, but not hear a difference? Most sensitive audiophiles feel a difference, and many veteran music lovers feel a BIG difference. Dr. Horowitz asked the technical developers the same question. They explained that the difference is measurable by testing the duration of the 528Hz frequency transpositions and comparing it with the original recordings. Place both tracks side by side in a software program like GarageBand, Pro Tools, or Sound Track Pro. You will see the 528 track is slightly shorter, meaning it is slightly (virtually unnoticably) faster. That is 4Hz faster (A=440Hz to A=444Hz/C=528Hz). So energetically, there is a bit more energy. But that is not the most important reason you FEEL a great improvement in energy. The main reason is "phase locking" of resonance energy with the heart of the universe. That's right. A small increase in energy tuning puts you directly in sync with the heart of universal creation--selected by the botanical world to vibe optimally with health and sustainability: A=444Hz/C=528Hz. 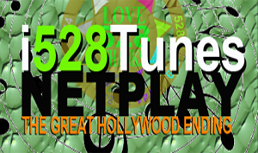 Dr. Horowitz says that 528Hz transpositions provide a "subtle," albeit "significant" benefit, as he personally experiences regularly with "relaxation responses" and more frequent "breath releases" when listening to 528Hz music. He gains more relaxation and positive physiological responses when listening to 528Hz recorded music. This is why artists are encouraged to tune their voices and instruments to A=444Hz/C=528Hz, and record in this most beneficial frequency to have the music become "medicinal." "Does 528Hz music repair damaged DNA?" 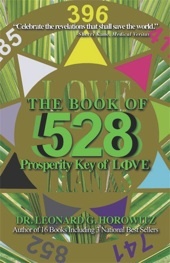 Read "The Book of 528: Prosperity Key of LOVE" to gain a full download of this uplifting information. It goes into the electrogenetics of the musical mathematics upon which this theory of DNA repair is based. "We now know the love signal, 528 Hertz, is among the six core creative frequencies of the universe because math doesn't lie, the geometry of physical reality universally reflects this musical mathematics, we have carbon-6 hexagonal sacred geometrics empirically-evidencing this thesis, and DNA is circular and spirals in accordance with this most powerful force of nature. Theoretically, damaged DNA has no other choice but to follow the path of least resistance and vibrate back into its most natural normal state," Dr. Horowitz explains. "These findings have been independently derived, peer reviewed, and empirically validated," he says. The article is titled "What's Really Happening to Us." The writing summariizes his thesis, providing evidence supporting 528, generally as well as electro-genetically. Specifically, regarding DNA repair, everyone awaits more research in this field. It was Dr. Lee Lorenzen who simply, matter-of-factly, provided Dr. Horowitz with the statement that DNA repair was facilitated by 528Hz. 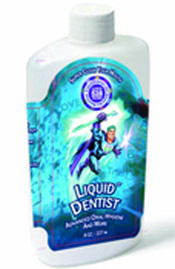 Dr. Lorenzen is a reputable scientist, and Dr. Horowitz trusted Lorenzen's statement, and credited him in references in this regard. 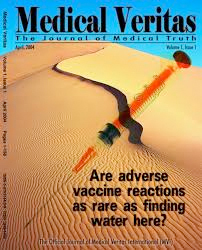 Following years of accumulating information about 528, and understanding more about electrogenetics, it made sense to Dr. Horowitz that 528Hz frequency would create a natural resonance by which DNA, spinning in its water matrix, would be cymatically affected and potentially even restructured, back to its original, natural, form. The form or structure of DNA itself, most obviously, reflects Marko Rodin's "Infinity Pattern," as Dr. Horowitz showed in his books, "Walk on Water" and "The Book of 528: Prosperity Key of LOVE." Dr. Horowitz also published Victor Showell's scholarly analyses proving that 528 resonates mathematically at the heart of universal construction, reinforcing what Rodin and others had claimed by other analyses. If you are an inquisitive scientist, or simply a concerned citizen, you must know the ''hardest science" IS MATH! Based on the math, and knowledge of cymatic and acoustic science, many of Dr. Horowitz's peers have heralded the same conclusion as he has regarding 528Hz frequency and DNA repair. Now that we know 528 resonates at the center, or heart, of the universe and universal construction, what resonant vibration do you believe lies at the center of your DNA--the "blueprint" of your physical construction? It makes common sense that 528Hz would be supportive and even repairative to DNA. "Can listening to 528Hz music help cure depression?" Very likely, yes, and a lot more than depression. Probably it would cure world aggression if given a chance and widespread playtime. In this way, public broadcasting could really make a difference! We know that 528Hz sound and 528nm of light vibrates at the center of the universe, at the heart of rainbows, from the heart of the sun, and at the center of your heart as well. And what emotions vibe at the center of your heart? Most people would say, "LOVE," among heart-felt emotions impacting happiness vs. depression, immunity vs. distress and dis-ease. Other heart-felt emotions are also stimulated by 528Hz. They include "JOY," "FAITH," and "BRAVERY." 'SADNESS" too is felt in your heart, and comes from personal losses and empathy for other people's suffering that would be dramatically reduced if more people had more LOVE, faith, joy, and bravery to defend human rights. This is why the Awareness component of the 528 Revolution is as important as the Prospering component for diagnosing problems and advancing remedies stopping needless suffering and sadness felt in our hearts. The word "depression" tells this bigger story. Depressed means lacking energy or vitality, that is, the opposite of excitation and exhilaration. It turns out that all energy, including the normal energy required for health, happiness, and metabolic sustenance, sources from electrons. These vibrating sub-atomic particles certainly impact your mood through body chemistry, endocrinology, and psycho-pharmacology, the same way green plants impact the air you breathe by the greenish-yellow (528nm) color pigment of chlorophyll generating "prana," atmospheric "chi," and the Holy-spirited aloha breathe of life. That cures everything needlessly distressed, depressed, and diseased. "Was 528Hz prophesiied in the Old and New Testaments for this time?" This frequency, 528Hz, has been advanced by Dr. Horowitz to be the “key to the house of David” (Isaiah 22:22; Rev. 3:7). Rarely do Old and New Testament prophesies coincide precisely as in this case. Isaiah 22:22 and Rev. 3:6-8 detail the End Times prophesies whereby the sixth angel representing the Church of Philadelphia, that is, the "City of Brotherly LOVE," comes to herald a "key" that opens and closes doors beyond human reach. A "key" is a musical note, as well as an unlocking instrument. Doors that open and close beyond human reach infers metaphysical energy vortices, including the "heart chakra" honored in Oriental medicine and acupuncture as the greenish-yellow energy field infusing and radiating from your heart. 528Hz frequency of sound, coinciding with 528nm of greenish-yellow light coexists at the heart of the electromagnetic sound and light spectrums. This is the heart of the rainbow said to be spinning like a vortex of energy in the middle of your chest, where your heart is surrounded by your lungs. Your lungs, of course, draws air from each breath filled with the electron-energy of LOVE/528 striking each greenish-yellow chlorophyll pigment generating regenerating oxygen in the atmosphere sustaining life. 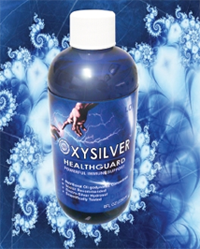 This is the main function of the botanical world, delivering the life-giving oxygen through your heart to your bloodstream, and every cell in your body. Accumulating evidence is convincing experts this “music of the light” vibrates your heart with the miracle frequency of LOVE in 528—the key (a musical note) to the house of David that inspired King David to transcend fear, chant while marching into battle, perform healing miracles with his harp, and celebrate exuberant joy for the Creator in Psalms. Hallelujah! "Can you persuade skeptics and pessimists about 528?" Maybe yes, maybe no. The 528 Revolution is advancing the best opportunity for this common understanding, including understanding why civilization seems bent on, even destined to, being destroyed by greed, arrogance, and ignorance. Most people agree, there are givers vs. takers, lovers vs. haters, producers vs. consumers, with a spectrum of people falling somewhere in between. Each person, like every frequency, is unique. People dance to their own drum, with different heart-beats and blood pressures. The good news about the 528 Revolution is that it bridges the huge gaps between people worldwide, of all religious, political, philosophical and/or ideological beliefs and convictions; between leading scientists and those considered grossly ignorant. The reason for this "common cure" capability--the good news, really GREAT news--is that "Music is the 'Universal Language,'" and 528Hz sound (and 528nm light) affects everyone bio-energetically and electro-genetically according to each persons unique genetic makeup. 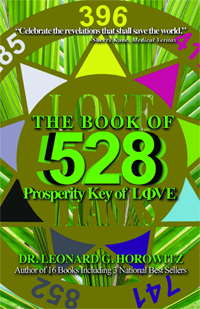 According to Dr. Horowitz's research, and writing in "The Book of 528: Prosperity Key of LOVE," the frequency of LOVE/528 conflicts with the frequency of HATE/741; or PEACE/528 vs. FEAR/741. The difference, in fact, is called "the Devil's Internal" in musicology. It generates distress, much like the tone used for the National Emergency Alert System. So this evidence suggests the world is full of 741ers in virtual competition with 528ers, just like the spiritual or religious war ongoing between good vs. evil, yin vs. yang, male vs. female, and "sinners" vs. righteous ones. Dr. Horowitz believes that some people are genetically predisposed to resonate most harmoniously with 741Hz, whereas others receive and transmit 528Hz more consistently. Ultimately, he concludes, the 741ers will continue to destroy themselves, and everything else that is sacred, or they will be overwhelmed with LOVE/528 when they are moved into this "level of consciousness" and spiritual awareness in keeping with survival of the fittest, the most intelligent and healthiest. This revelation, or realization, is how skeptics, pessimists, devil's advocates, and even agnostics, be convinced that the 528 Revolution has a lot to offer them too. Meaning a faster acquisition of "critical mass," or the "100th monkey" effect, is promised, most "miraculously," by your support for the 528 Revolution. "You are a digital, bio-holographic, precipitation, crystallization, miraculous manifestation, of Divine frequency vibrations coming out of Water. Get it? You are the MUSIC!" 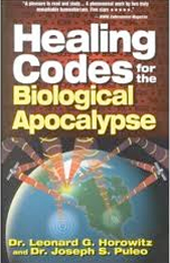 As perhaps the first person to manifest the “Solfeggio” frequencies through tuning forks, based upon the numbers initially made available in the HEALING CODES FOR THE BIOLOGICAL APOCALPYSE book by Drs. Horowitz and Puleo, I have had great experiences with these frequencies. . . . . . 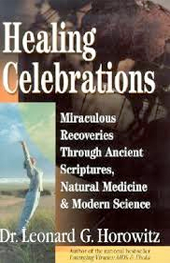 They are extraordinary vehicles of healing and transformation." The Solution in Divine-Human Communion. A documentary on media propaganda. Truth programming in the Spirit of LOVE/528. The 528 Revolution Starts Here. Monumental Film on 528Hz Frequency. 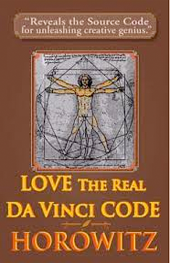 Celebrate the real da Vinci CODE. Revelations in music, math and language. Celebrate and secure the human race. The truth about water and creation. 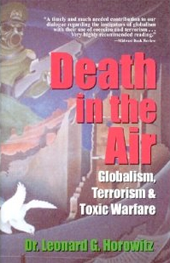 Prophetic insights into globalism, terrorism & toxic warfare. Whacks Penn, Teller, and SHOWTIME paymasters. U.S. Govt. Drug Cartel propaganda. SHOCKING! A full day uplifting revealing experience! Biotechnology, Politics, Economics of Pandemics. Ventura & TruTV Exploits Scientist. Intelligence report on current and coming plagues. 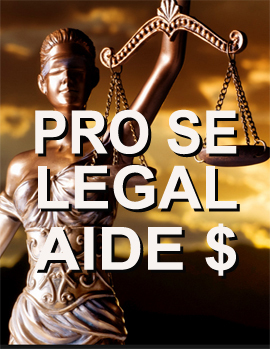 We The People oppose organized criminals in government, law enforcement, and “the drug mob” to damage people, our nation, and entire population most profitably. 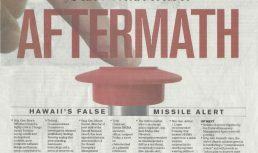 This “Deep State” commercial conspiracy against lawful governance is cursed as an attack on God, common sense, and justice. Karma is coming for the devil doers and evil obedient.